Jetting off on a last minute holiday to Ibiza? September is a key period to visit the island for its famous closing parties as the season comes to a head. The closing parties run throughout September and into the first week in October. So you've saved your money, you've got your flights and accommodation, now what are the essentials you need to pack? I've taken key activities whilst on the island and prepared a style guide, with House of Fraser, for each one - there is definitely something for everyone. 1) Ibiza has lots of luxurious beachside restaurants where you can go all out and wear your best glamour pieces. El Chiringuito and Amante, to name a few, are two such restaurants which call for your best ensembles. Look out for embellishments, crochets, beads and sequins. 2) There is lots to explore and see in Ibiza apart from the usual clubs and bars. Why not take a trip out to rural Ibiza. There is a lovely restaurant in Sant Joan de Labritja called La Paloma which serves homemade mediterranean cuisine. This is your perfect chance to experience authentic Ibiza. 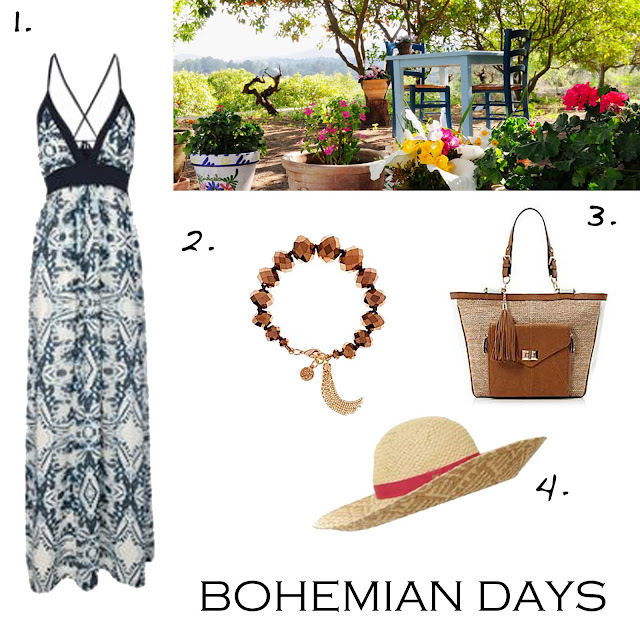 Thereafter, why not visit the Hippy Market in Santa Eulalia for some great bohemian finds. A loose maxi dress adds an instant bohemian vibe and teamed up with some tassel accessories and a straw hat, you've got yourself a great boho look. 3) Pool parties are a must in Ibiza this year. The two major players on the Ibiza scene are Ushuaia Beach Hotel (I was fortunate enough to stay there this year and loved it) and Ocean Beach Club. A lot of people may already be familiar with Ocean Beach Club - they have clubs all around the world and a famous one in Marbella. Ushuaia opens up at 4pm or 5pm to the public and hosts some of the biggest DJs from all around the world. Parties go on till midnight and anything goes. Pool parties are the one place where bikinis can be classed as outfits but you can wear anything you like. Don't be afraid to go bright or mix and match. Glamour is key! 4) Ibiza has so much to offer by way of boat trips. You can visit caves at San Miguel, party at one of the many boat parties, visit neighbouring Formentera or watch the sunset. 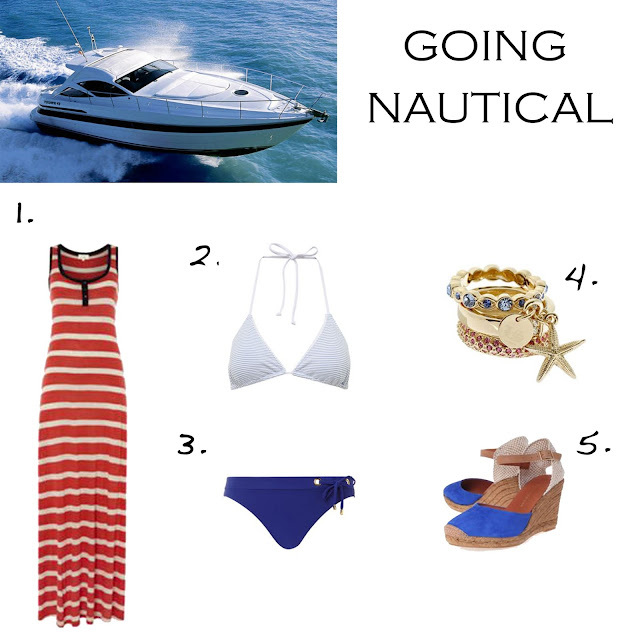 This is a simple one - You want to pack navys, blues and stripes. 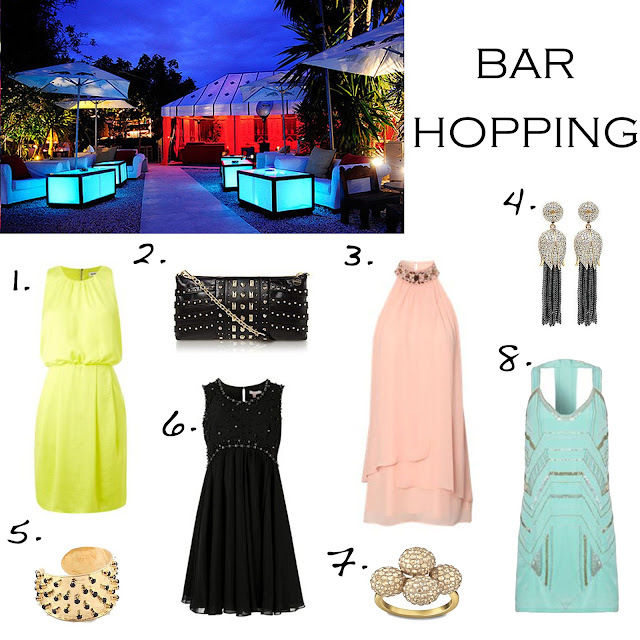 5) Go glam whilst visiting the many cocktail lounges that line the beachfront - each major port in Ibiza has them. This is your chance to inject a bit of sparkle into your suitcase before hitting the clubs later on during the night. Think cocktail, girly, jewels and sequins - dress your best to feel your best. 6) People in Ibiza don't hit the clubs till very late on in the night - i'm talking 1-2 in the morning, sometimes later! 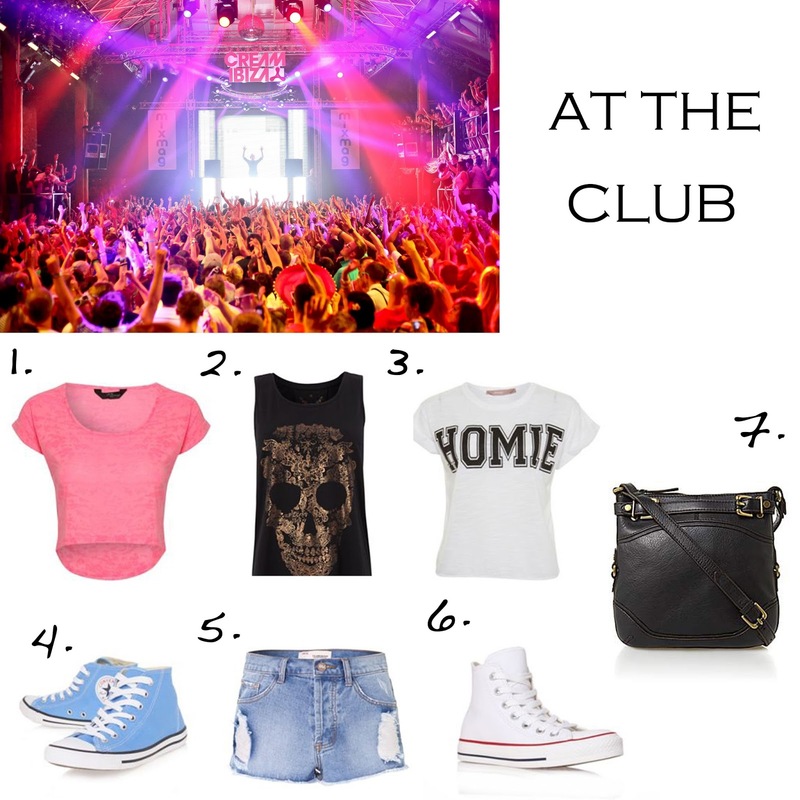 Go glam early on in the evening and then when it is time to hit the clubs - go casual and remember, comfort is key. The clubs are extremely crowded and the last thing you want is sore feet or to feel over dressed! Major clubs in the area include Amnesia, Pacha, Privilege and Space. And finally .... Enjoy your self and stay safe!